Does your business feel bad and operate at a loss? Is your site traffic declining? Do you lose mobile users right after they download your mobile app? Try a progressive web app. It’s a new remedy for increasing customer loyalty developed by Google. Here are the instructions for use. #1. What is a progressive web app? Progressive web app or PWA is a remedy combining the best features of the web and mobile apps. As a regular website, a progressive web app is available through URLs and indexed in search engines. As a mobile app, PWA sends push notifications to app users with news and offers. Given this, progressive web apps work on all the known browsers and platforms. They don’t require a special gadget or software and continue working offline. PWA won’t cause an allergic reaction — they are unobtrusive, and the user will get the notification to download an app only if it's the second visit to a company’s site. Being a medicine for websites, PWA has indications and warnings. Let’s consider the cases when PWA should be used. Your website content has regular updates. You change prices, conduct tenders, post stock market data, write news, etc. The website has chat or commenting options. Your customers are used to receiving notifications about new messages. It’s convenient for users to download information from the website and then read it later when offline, similar to a blog or news site where information is published several times a day. Speaking about warnings, you don’t have to use PWA if you a have a regular landing page and updates are very rare. PWA works on all browsers and platforms, so you don’t need to create several versions of the product. It helps you to cut the development costs. Progressive web apps help to attract an audience via different channels and with minimal expense. To download a native app, a user has to follow 4-6 steps on average. Every step leads to a loss of audience. Whereas to download a PWA, a user needs a second visit to the site. The main components are already installed. PWA helps to speed up the installation process and drop down the bounce rate. Using a progressive web app, a business won’t need to think about which OS to choose as PWA are equally good for all devices, screens, and browsers. Thanks to effective data caching, progressive web apps perform better than native mobile apps. PWA development doesn’t need to satisfy the app store requirements as mobile app development does. Forbes uses a progressive web app for its website and thanks to it, the mobile version loads very fast: just 0.8 seconds even though it has lots of content. 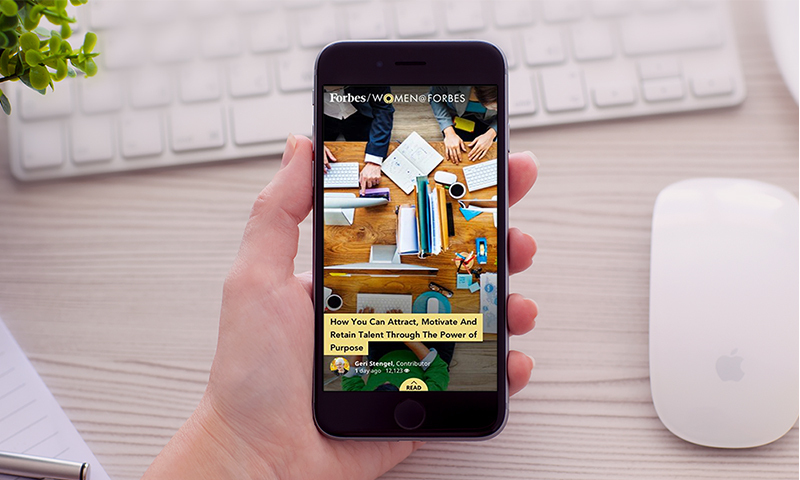 Forbes also created Fluid, a type of advertising for PWA that aimed to speed up the content download on mobile devices. According to Forbes, their PWA helped to increase the session numbers by 43% and advertisement reviews jumped by 20%. Another successful treatment example is the Lancome website. Company analysts came to the conclusion that the mobile conversion rate is too low and equal to 15%. They thought the best solution to increase sales will be a native app. But the company owners decided not to pursue this option. And they did the right thing. 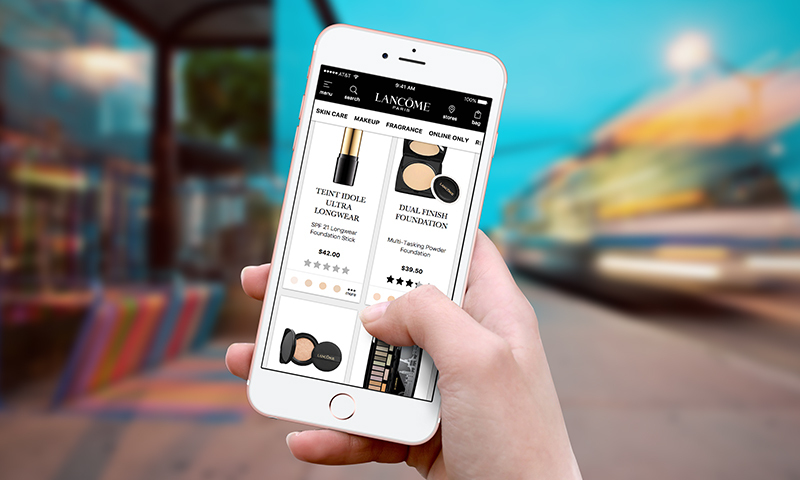 Instead of the mobile app, Lancome developed a progressive web app that will be available on every smartphone. The cure worked: 17% increase in conversion, a 53% increase in mobile sessions on iOS and a 15% decrease in bounce rates. The Twitter Lite PWA was launched in April 2017. The progressive web app sends push-notifications, makes a data cache and optimizes pictures. The PWA is only 600KB over the wire vs. 23.5MB of downloaded data needed to install the native Android app. When Twitter published the PWA, the number of tweets grew by 75%, bounce rate fell down by 20%, and page number per session increased by 65%. The first time Google announced progressive web apps was in 2015. Then they presented PWA for Washington Post at the Google I/O 2016. Since then, the cure passed several tests successfully. PWA provides stable traffic to the site, increases conversion rate, and reduces the number of failures. Get a prescription for PWA development from certified specialists.